I love a good multi-purpose beauty product. MAC Prep + Prime Fix + is an example of that. I use it to refresh makeup, to remove the cakey look of too much powder, to dampen my beautyblender, to intensify shadows and more. But at $23 for 3.4 oz, that's a bit ridiculous. A few years ago, in typical nerdy Elle Sees fashion, I figured out how to make my own to save money--this was before the ingredients were easily found online!! I've been promising to share this recipe on here for years, so I hope you like it. Fill bottle halfway with distilled water using a small funnel. If you don't have any, you can boil water, and once it's cooled, add it. Depending on bottle size, this will be around 4-5 tablespoons. Most small spray bottles are around 4 oz. I reuse a MAC Fix + bottle for mine, which is around 3.4 oz, so add slightly less if going that route. Add 2 1/5 tablespoons of vegetable glycerin. This closely mimics the humectants found in the MAC Fix + formula. Add 3 tablespoons of witch hazel. I recommend using witch hazel that states it's alcohol-free, like Thayer's. Add 1/2 tsp of Vitamin E. Since we aren't using preservatives, like found in the original formula, this will act as one. Fill the rest up with water. Shake well before using. Optional: drop of essential oil. Some people are sensitive to fragrance, so you can leave this out if desired, but it smells like witch hazel if you don't add a scent. Optional: I tried to keep this recipe as simple as possible while replicating the results of MAC Fix +. However, I am leaving some ingredients out that I add, like caffeine, cucumber extract, green tea extract, and chamomile extract. If you want more info on those, please send me an email. This keeps for about a month and can be kept in the fridge. 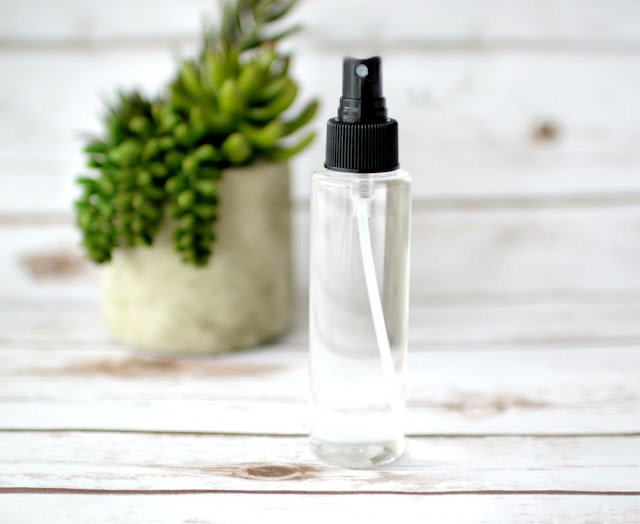 MAC makes a travel size version of this and I will half the recipe and use that bottle instead. Just an idea. 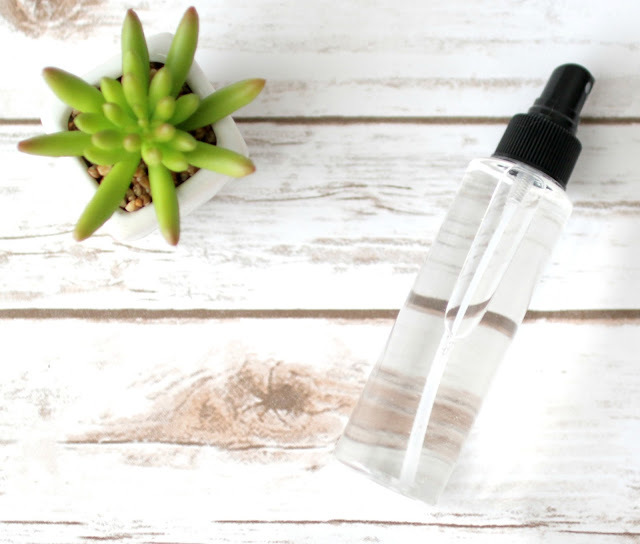 You can order the ingredients online, or try a health food store for the vegetable glycerin. Regular glycerin is found in the drugstore, but I prefer vegetable for this. 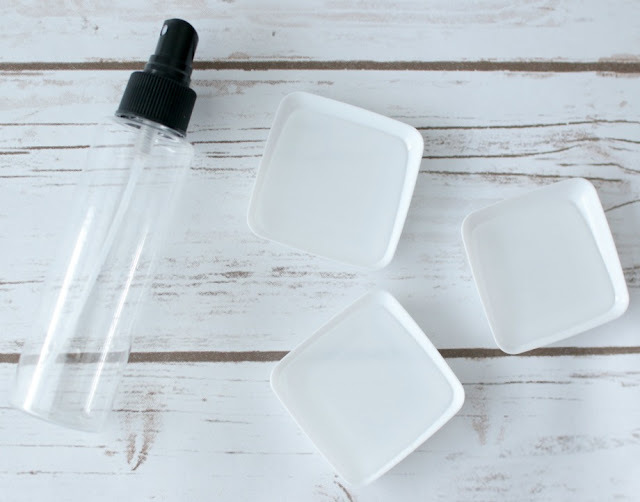 Do you ever DIY your own beauty products? Whenever I get in a creative rut, I watch one of my favorite movies--the 1964 French film The Umbrellas of Cherbourg. The colors in it are gorgeous! Immediate inspiration. Let's talk about Instagram--if you like my Facebook page, you'll notice an article I linked to on there about the new algorithm (BOO). My engagement is down by half! I tried switching to a business account, but I swear that made it worse. Argh. Have you had the same experience? Another great DIY! I'm pinning and will make this with my daughter! I'm going to have to check out that film! Thanks for the suggestion! Have the best weekend! that's so clever and awesome. Have a great weekend girl. Ok, so first, this DIY is amazing. I have always wanted to try the MAC fix but I wasn't sure if I would really like it and didn't want to spend the money. I seriously need to try this!! On another note, after our discussion this past weekend about IG business, I switched it over last night and I'm already questioning if I should have done that?! It is SO frustrating!! another great DIY! i am so with you on the insta train. i just want to see in chrono order like i used to. it's like Facebook and insta can't play by the rules sigh. Awesome DIY! Thanks for sharing. I miss the old Instagram too. I feel like I'm missing out on everyone's posts. Have a great weekend Elle! Girl! I am making this immediately! Thank you for sharing! I am obsessed with Mac fix+ so I cannot wait to try this out. Instagram has definitely been a real bummer lately! You always have the best DIYs! This sounds super easy to make and so useful! This is the best DIY! Have a great weekend girlie. I have never tried Mac Fix+ so I have no idea what the fuss is all about. This DIY is definitely a keeper, another good one, Elle! Okay, this is genius! Thanks for sharing, I need to make this DIY ASAP. I love your DIY's they are brilliant. Sometimes pricing for cosmetics are truly ridiculous! I hate when all these social media things mess things up with changes. My photography page had a huge drop too. Some things need to be just left alone. It's unbelievable, the amazing recipe you just shared - I would love to make it, but I never heard we could buy vitamin E, just as a supplement, but this way - it's amazing! The things I learn here, I am so glad! Thank you, really! OOh this is awesome, I will have to make it! I will also have to find that movie. Ugh all the insta changes are killing me! I've been wanting to try a spray like this, so I love even more that I can make one! I have some of this stuff already too, so I think I'll have to make it soon! I used to use Fix + all the time! Then I switched over to Urban Decay. I think I have glycerine if its clear gel type stuff. This sounds really easy to make! I feel like I'm the only one who has never tried Mac fix + ! I've always wanted to but just never have. I'm glad to know that I can make it myself! Thanks for sharing! The one thing that I hate about high end beauty products is that they're always so expensive! This sounds like the perfect way to get the product you want without paying the heavy price! Very cool! I've heard you could make this! Sounds pretty easy! 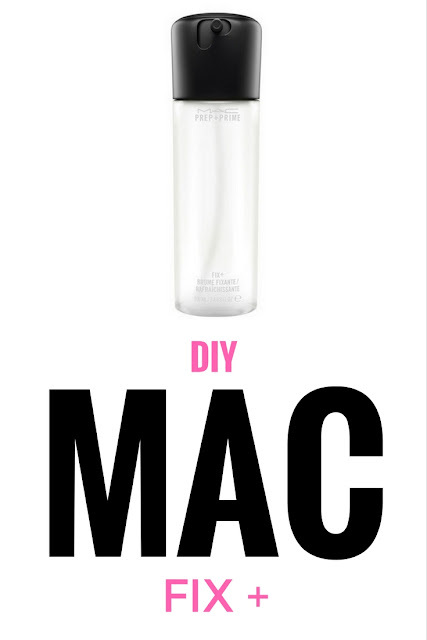 i have never used this mac product, but good to know i can make it myself if i ever need to! your DIYs are always the best. have a good weekend! I love that you came up with your own way to save money on a product like this!!! I missed the article you posted about Instagram so I will have to go look it up! Have a great weekend! How do you come up with these fabulous DYIs? I'm always so impressed. I have to be honest and say I don't know if I'll ever try this but I'd like to think that I would one day cause it's amazing. Don't know how I feel about the Instagram thing. I don't have anywhere near the following you do so I can't really say if my engagement has suffered. But I will say that I tend to engage less now. Not sure why though. I've never tried Fix+ before, but I have to try this! I never payed much attention to my instagram engagement, so I cant really say if it has gone down, but I feel like I miss a lot of posts. What a great D.I.Y! Who doesn't want to save a little mula. Sooo ... I am totally trying this. You are genius. The instagram algorithm is just way too weird right now. Nice DIY. Thnaks for sharing. Excellent DIY I make Something simular but i will definitely be trying out yours thanks for the great post Sweetie !!! You are so talented at DIYing! Thank you for sharing all your knowledge with us! This is great! I'm always too lazy for DIY, or too busy with the kid to even use products I buy.. hehe.. well done! I don't usually DIY, because I'm rather clumsy - and lazy - but your posts make me want to try it! As for Instagram, I haven't noticed a difference, but then my account is quite small. I love this idea. I go through this product too much. Girl, you should launch your own skincare line...! This is fab!! Thanks for sharing. I've never used a product like this, but it;s always nice to have a cheaper option. You are so good at DIY's - this is such a good idea! I love Fix+ but I use it sparingly because it's so expensive and I always feel compelled to drench myself in it. This is much more budget friendly and does the same thing!